For a south Louisiana fishing rodeo it was a modest affair, only 33 entrants, but in effect the weigh in at Boudreaux’s Marina in Cocodrie Saturday afternoon was much greater. Participation was free for the wounded war veterans, many of whom served tours in Iraq and Afghanistan. On stage doling out the awards was Tony Fontenot, host of The Castin’ Cajun. He financed the two-day event largely out of his own pocket. 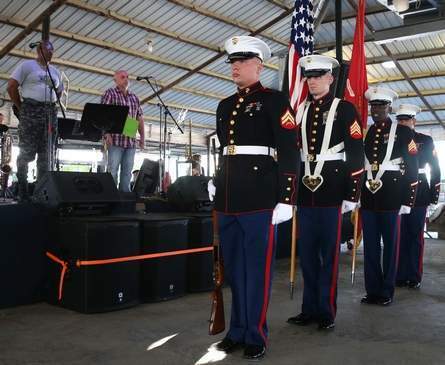 It was the first Wounded War Heroes rodeo to be held in Terrebonne Parish, although the event has taken place for six years out of Venice.